Longboatoutfitters tailors each trip to the client, following their preferences whether to focus on the world-class fishing or to allow opportunities for caving, arrowhead hunting, frog gigging or just relaxing on the water or by a campfire – especially while the guide cooks. For a day trip that might be a quickly prepared shore lunch of chicken fajitas set to sizzling over a small butane stove – with even a table packed into the longboat. For an overnight campout, dinner might be cornmeal catfish with all the fixings, hickory-grilled steak or spaghetti with homemade beer or wine. Kyle Kosovich launched his outfitter service to resurrect the laid-back river float trips of bygone decades in the Ozarks. He built his ideal watercraft – a 20-foot longboat powered only by his own brawn, brain and paddle. Enjoy a fishing experience you won’t soon forget! Our guides are at the heart of Longboat Outfitters. 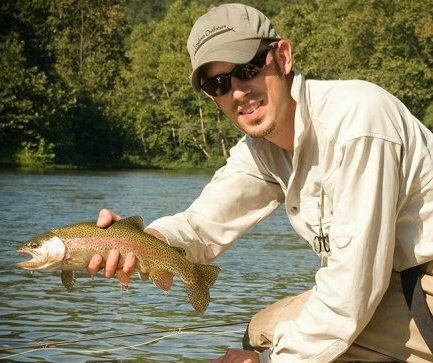 They are all expert anglers and have travelled extensively, perfecting their craft so you can enjoy your adventures. Etiam rhoncus fermentum vehicula. Etiam sollicitudin eget sapien ac aliquet. Nullam tristique vitae sempers astridse facilisis.